The perfect wife. A fairytale family. Don’t believe your eyes… Jeanie and Matthew are a happily married couple who both have teenage children from previous relationships. No one said it would be easy to raise a blended family under one roof but Jeanie and Matthew are strong. They will make it work. And whilst Jeanie’s step-daughter Scarlett rejects her, Jeanie will just have to try harder to win her over. But Jeanie has a past. A terrible secret she thought she’d buried a long time ago. And now, it’s coming to the surface, threatening to destroy her new marriage. Someone is playing a terrifying game on Jeanie and she must put a stop to it once and for all. After all, a fairytale needs a happy ending … doesn’t it? I remember i read this book on the train to a few days away with the MR and he was trying to talk to me, and i just couldn't because this book had me hooked, and i kind of wanted to spend the evening in the hotel finishing the book, because just WOW. 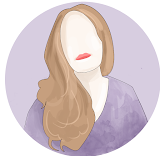 Jeanie has the perfect life, she has moved into Matthews pefect home with her teenage son, and is now a step mother to two other teenages, shes got this - i mean she has her own, so it will be fine, they just need to get used to her, thats all. Its not that simple, and there is something darker at work here, something that is playing with the past she buried a long time ago, a past she has moved on from, something that is playing with her happy ending. 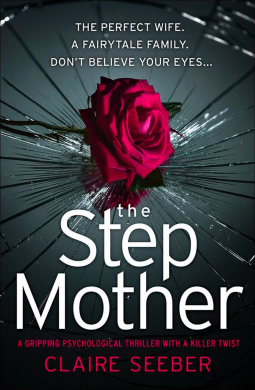 The step mother is a brilliant thriller that really does keep you hooked trying to figure out what on earth is going on, i really had no clue, and every time i thought i had it - doubt was cast and yep, i was wrong again. It was chilling and dark, and Seeber has done a wonderful job of creating characters that you are never sure whether to trust, each one is not as they seem.